Enhance your bathroom's modern look with a Fresca Magnifico 22" Towel Rack, part FAC0142. It features an attractive minimalist profile that looks right at home with a modern decor. A flat bar inset into round mounts that look as though they telescope. Each of these bathroom towel bars is forged from solid brass, making them long-lasting accessories. 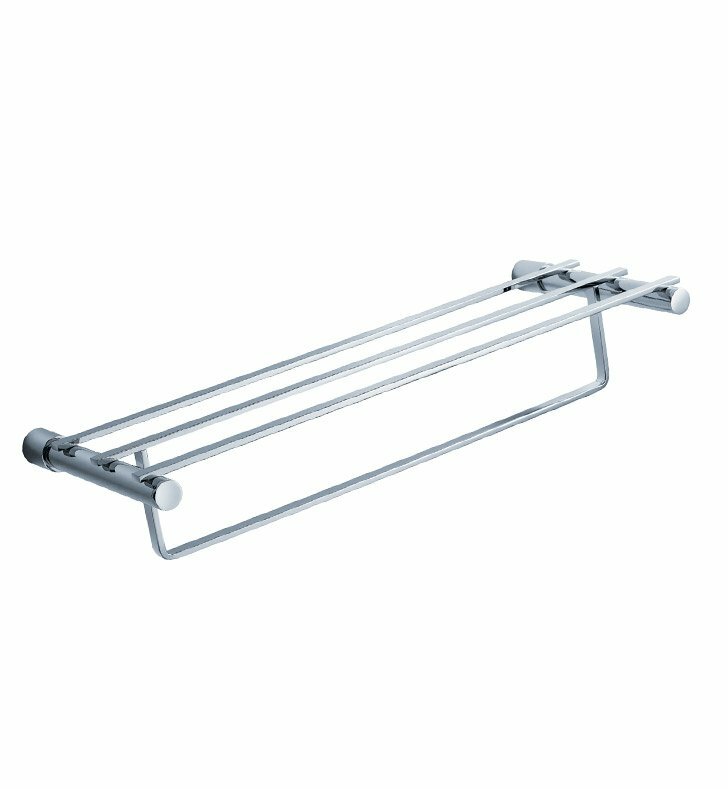 The towel rack is available in a variety of finishes, including bright chrome and soft brushed nickel.